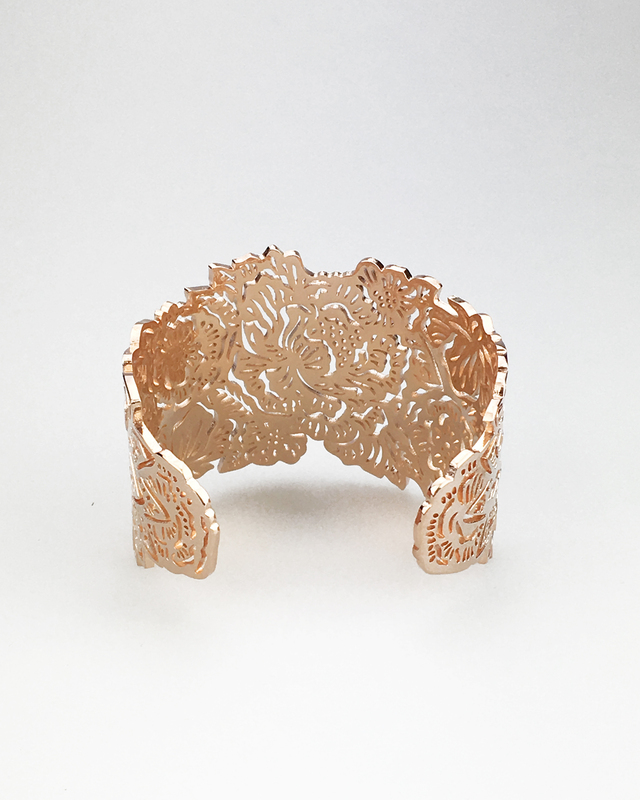 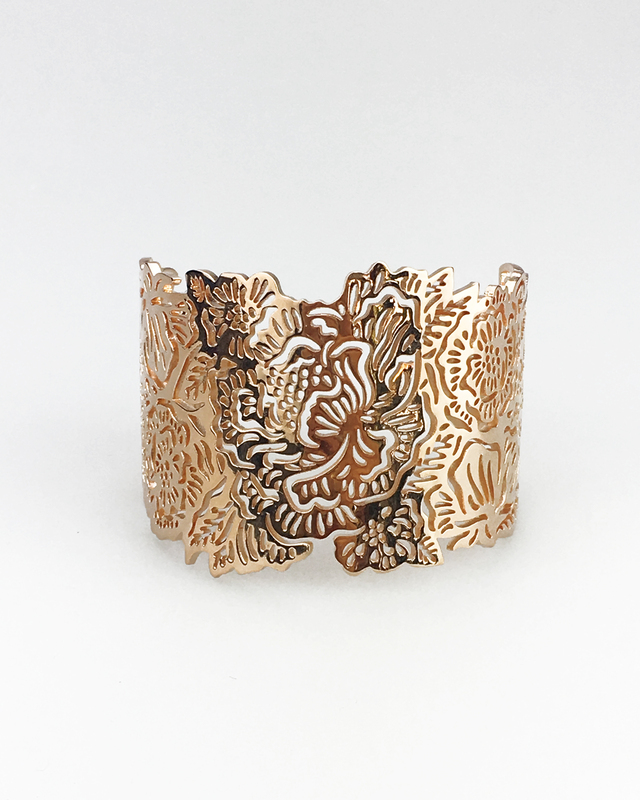 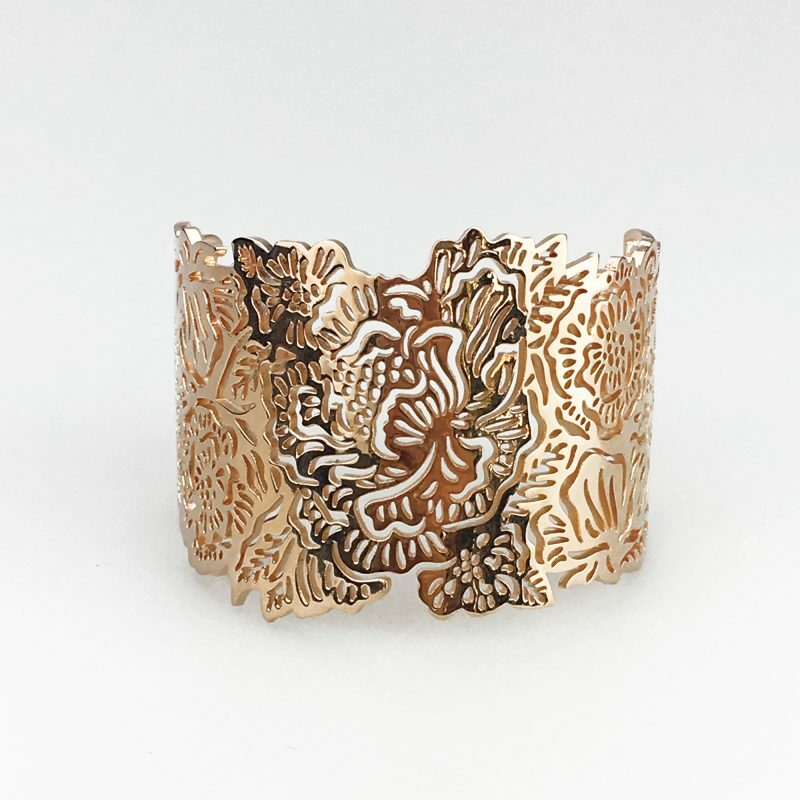 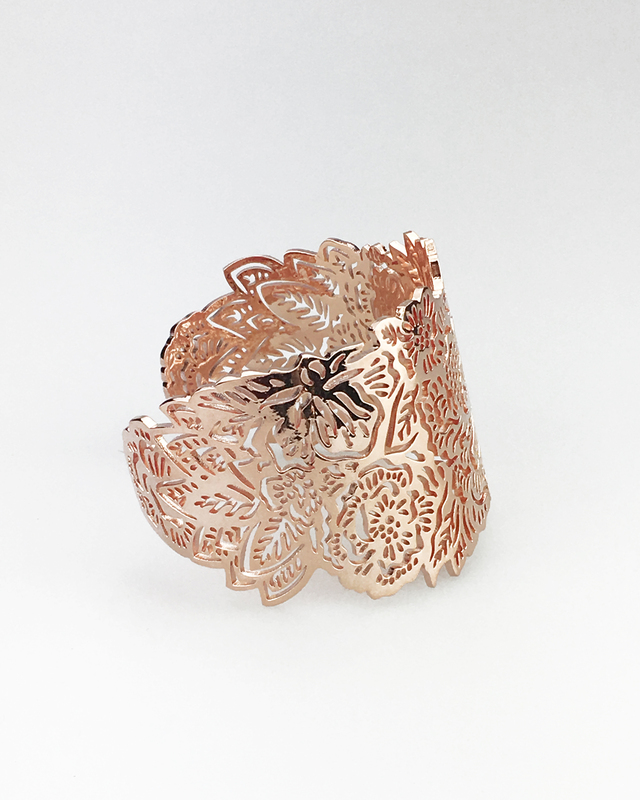 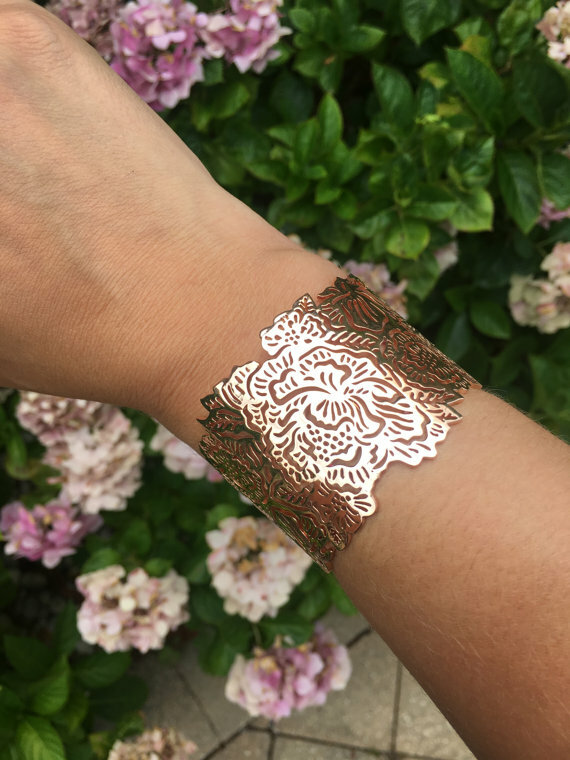 Adjustable brass based soft rose gold plated cuff with floral cutwork details perfect for both day to day wear or to add a touch of luxe to any outfit. 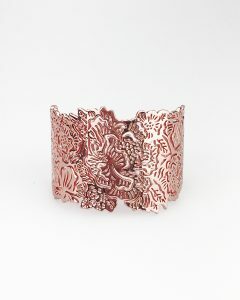 Wear back with its matching choker or earrings for full effect. 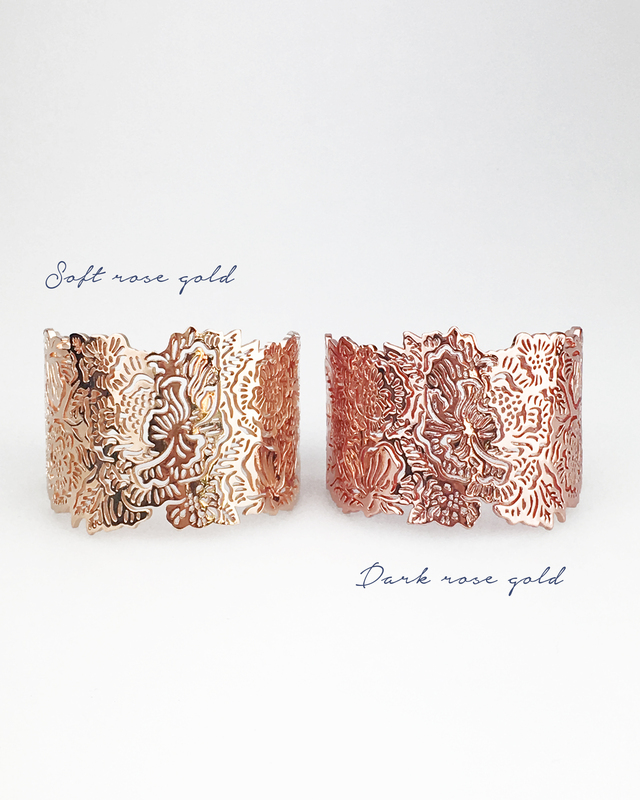 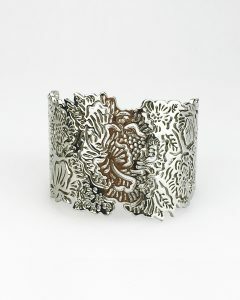 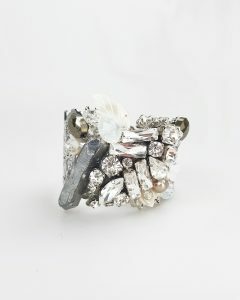 – Adjustable cuff suitable for smaller and medium wrists. 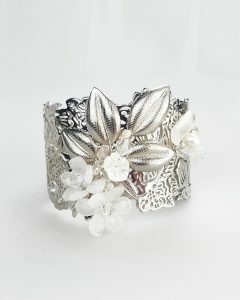 For larger wrists please enquire before making the purchase. 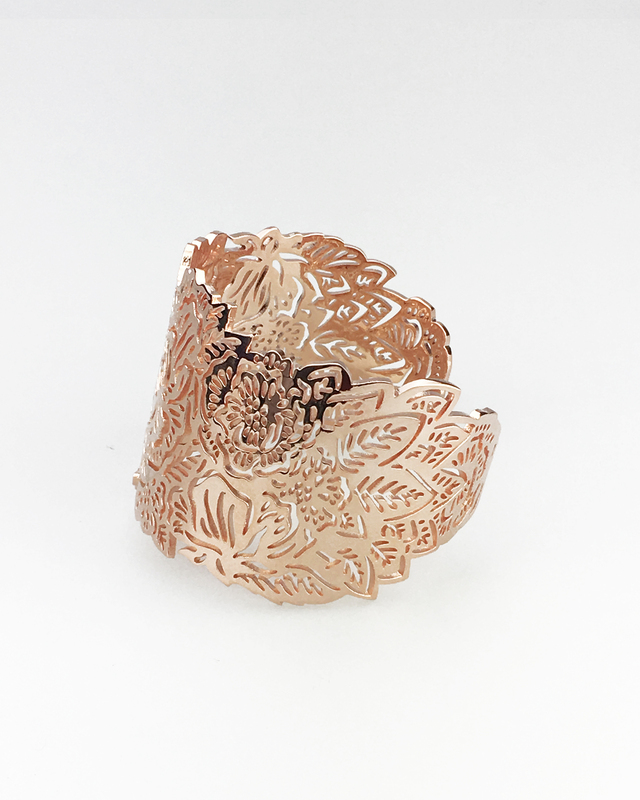 The base metal is brass and this is plated with 1 micron plating in soft rose gold.